Now that it controls everything else you buy, Amazon is apparently ready to take over the food world: Today it’s adding New York and Dallas to the handful of cities where Prime customers can get restaurant deliveries. 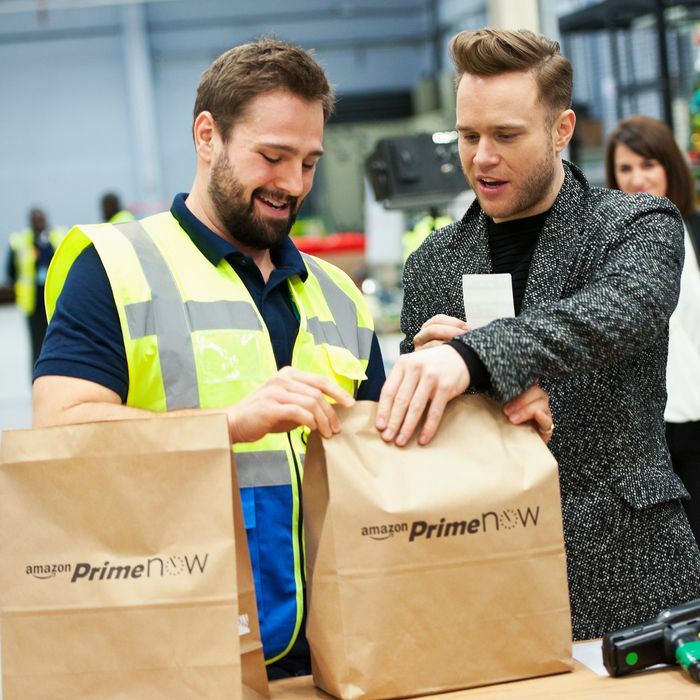 In the past seven days, the internet giant has also announced a meal-kit delivery service and plans to actually make food, but diving into NYC’s intensely crowded delivery market suggests the company thinks Prime Now can run with the big dogs. It’s partnering with more than 350 places in NYC, and the list at launch includes places like John’s of Bleecker Street, Num Pang, Blue Ribbon Fried Chicken, and even chains like Le Pain Quotidien; plus, there’s Junior’s or Momofuku Milk Bar, if dessert is all you’re after. Amazon also says the no-fee delivery model it was trying out will stay permanent, making its service the first to eliminate extra fees. Start-ups like Caviar and Postmates often charge a few bucks for delivery, while GrubHub lets eateries themselves tack on service fees if they want. Prime Now will remain free forever — assuming you’re already shelling out $99 a year for Amazon Prime, of course. It also looks like the restaurants are picking up some of the slack: Recode reports that, for its cut, Amazon wants a staggering 27.5 percent of each order, double what some competitors charge, but still probably low enough for restaurateurs to see the trade-off as worth it.